Is it possible to do archaeology without a grant? The CIA Conference on 15th September 2012 both looked at several fine examples of archaeology done without a grant, and also heard several interesting papers as to how archaeology can be done without a grant by using free software. The Conference was held in the Village Hall at Hackleton, near Northampton which proved to be an ideal venue as it is not far from the M1 motorway. 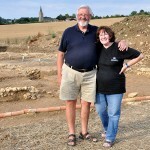 Roy and Liz Friendship Taylor, the excavators of the Piddington Roman Villa and who live in the village were our hosts. The hall was fine, there was excellent sound amplification and the food was superb. 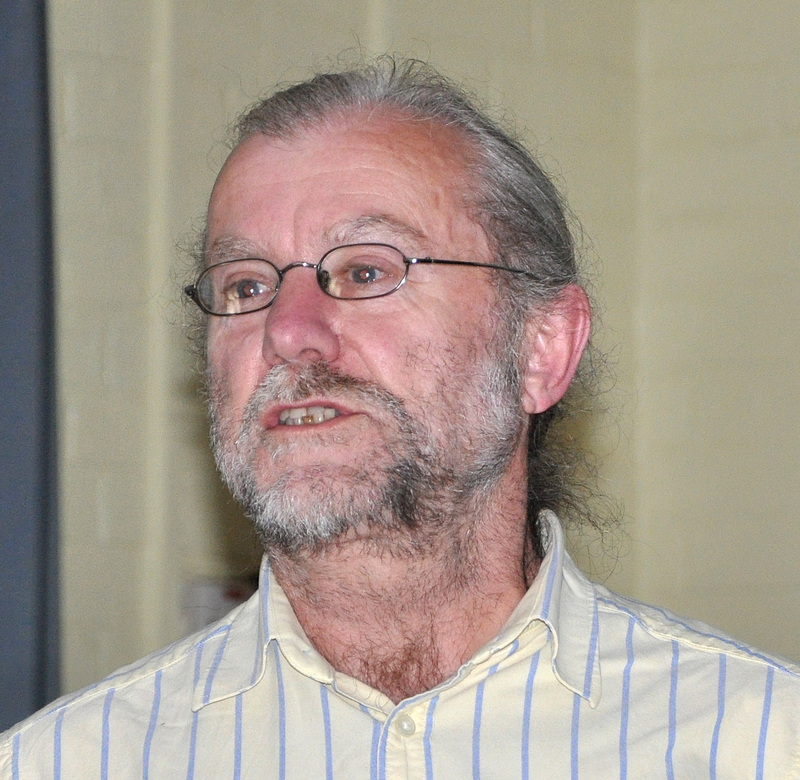 Following the Annual General Meeting, Tom Welsh opened the proceedings with a talk on locating archaeological sites by the study of local history. This is a topic which he covered at length in his book Local History on the Ground and he recommended that any archaeologist should link up with their local history society and find out what can be learnt. He concentrated on three sites in particular where he had done research. The first was Govan in the suburbs of Glasgow, which in the early Christian period was the site of a tribal meeting place similar to Tynwald, in the Isle of Man. There was both a church and a mound, but in 1842 the mound was destroyed during expansion of a dyeworks. The records defined the extent of the bleachworks and later dyeworks with which the alterations to the mound were associated. This showed a location close to the Clyde, which ties in with most descriptions. However the theoretical location dug in 1996 in association with Time Team, was disproved in a dig in 2007, as it was too far south, as was the latest theoretical position arrived at in 2010. At Northampton Castle the expansion of the railway station removed most of the castle in the 1880s. 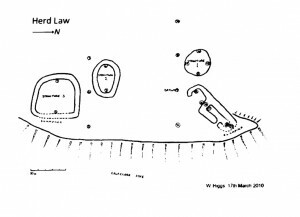 By using contemporary property records he was able to locate the lost inner and outer bailey circuit on the east side, and also reconstruct the mound known as Castle Hill. The documentary evidence enables previously hypothetical positions and dimensions to be greatly improved. Finally he looked at Forteviot in Scotland, a Pictish and Scottish Royal Centre where the king Kenneth Mac Alpin is said to have died in the ‘palace’ in 858. However by using documentary research to elucidate the evolution of the thanage of Forteviot, he showed a different configuration to that being used by the SERF project (the ongoing archaeological investigation). 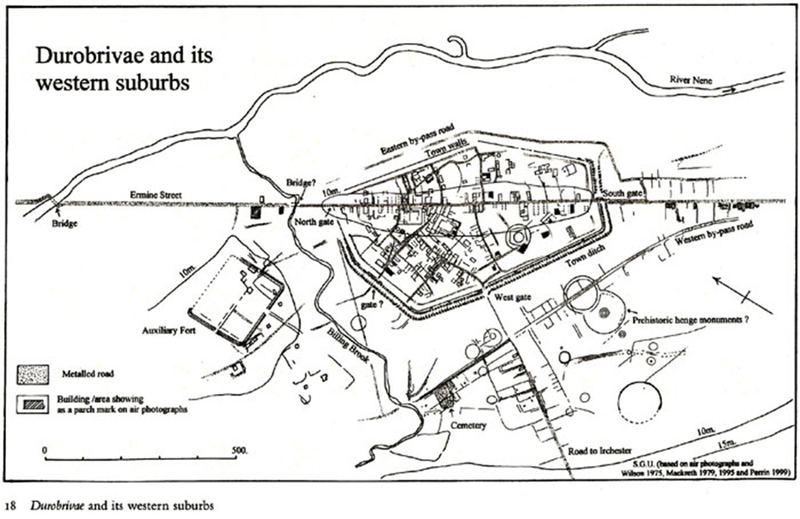 He also examined the modern myth of Forteviot and showed that the supposed palace was not Haly Hill near the church, but Hennhill south-west of the church, and was actually a 13th to 14th century castle unconnected with Forteviot rather than anything earlier. This was where most of the stone fragments came from. 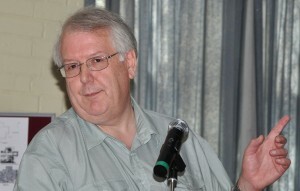 He was followed by Bob Randall on his work on resistivity surveys. 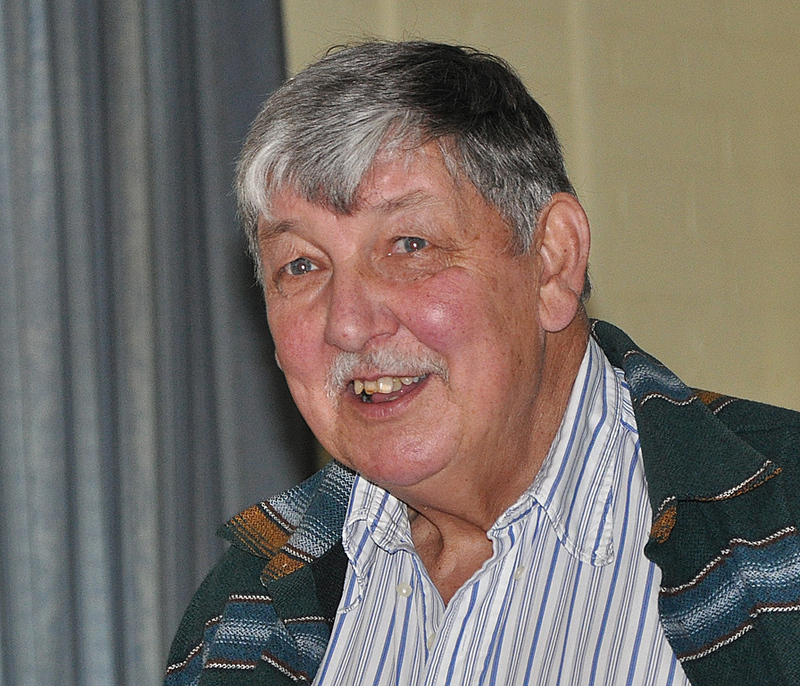 He began by apologising for the fact that the resistivity meter he is building for the society is not as far ahead as he had hoped, as he had been overwhelmed by his regular (well-paid!) work. He said that he had a working prototype in operation and he hoped that production would begin in early 1913. Stephen Upex’s latest map of the Roman small town of Durobrivae. To the west (left) is the Roman fort currently being excavated. To the south, the suburbs are the heart of the Nene Valley pottery industry, one of the three great pottery industries of late Roman Britain. To the north, on the other side of the river, and then just beyond the caption, is the Roman Palace of Castor, excavated in the 1820s, which, Steve Upex argues, was the seat of the procurator in in charge of the Fens in the late Roman period. Meanwhile he had been very active in the excavations being carried out by Steve Upex at the Roman settlement at Durobrivae, modern Water Newton. Here a fort outside the town was located by aerial photographs taken by Professor St Joseph in the 1970s. But these were oblique aerial photos: how could he align these with the results of geophysical prospecting on the ground? Clever work with Google Earth. The base map is indeed that of Google Earth. 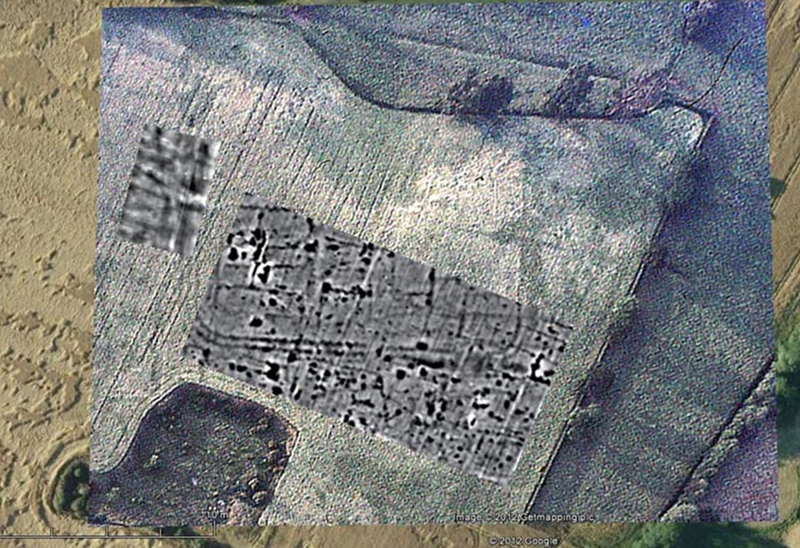 This is then overlaid with Prof St Joseph’s air photographs which have been rectified by Google Earth. This in turn is then overlaid with the results of Bob Randall’s geophysical surveys. Here Google Earth came to the rescue. Most of us only know Google Earth as the source of maps, but underlying the maps, Google Earth allows the user to add additional layers which can be anything from geophysical plots to conventional air photographs. It even allows users to rectify oblique air photographs, which is very high powered computing. 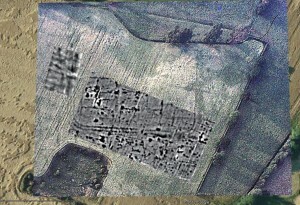 Then , by using the multiple layers, he was able to correlate the cropmarks on air photographs with the geophysical mapping data on the ground. Google Earth also provides many simple tools for measurement and mapping, and it also provides a user friendly show case for results. 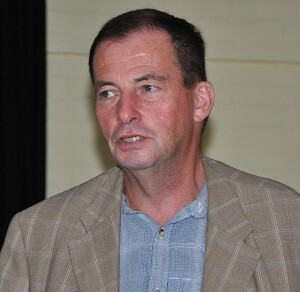 Steve Upex who was at the conference, also told me about the results of this year’s excavations. He laid out his trenches on the basis of Bob Randall’s mapping and found the terminal ends of the fort ditches precisely where predicted. He made few finds and is now inclined to believe that it was not a major fort built in the aftermath of the Boudicca rebellion, but was perhaps only occupied for a single season by soldiers engaged in realigning the Ermine Street – the modern A1. When the Romans realised that they needed a major all-weather road to connect London with Lincoln and the north, they replaced the original line which crossed the River Nene by a shallow ford but with a very boggy approach, with a new line which involved a bridge, but avoided the boggy approach. The troops building the road, built this fort just for a single season. The town of Durobrivae then grew up later and was unlikely to begun as the civilian settlement outside a major fort. He was followed by Albert Daniels of Maidstone Area Archaeology Group on his excavations at the East Farleigh Roman villa. 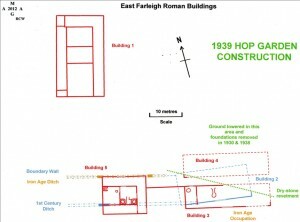 There was clearly a major Roman villa at East Farleigh which was badly damaged in the 18th century, and then virtually completely destroyed in 1938 when it was laid out as a hop farm. However he has been investigating the peripheral farm buildings. In our conference three years ago he reported on the excavation of a large barn, but he said that trenching under a lynchet appeared to suggest that the lynchet, probably the result of bulldozing in 1938, in fact covered more Roman buildings. Temple – or kitchen? 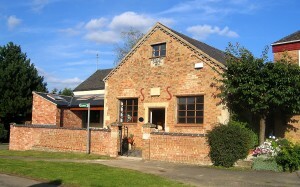 This is the building where the lead scroll was found, but it has two large ovens in it. My report on the conference contained a slightly sceptical comment about excavating by trenches. 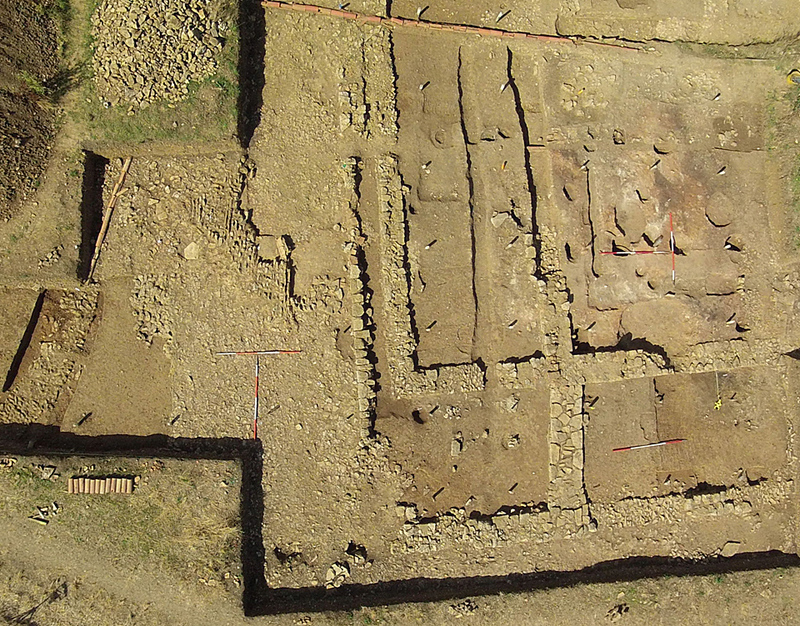 Well, this year Albert was able to reveal the result of further work – two complete Roman buildings, fully excavated. 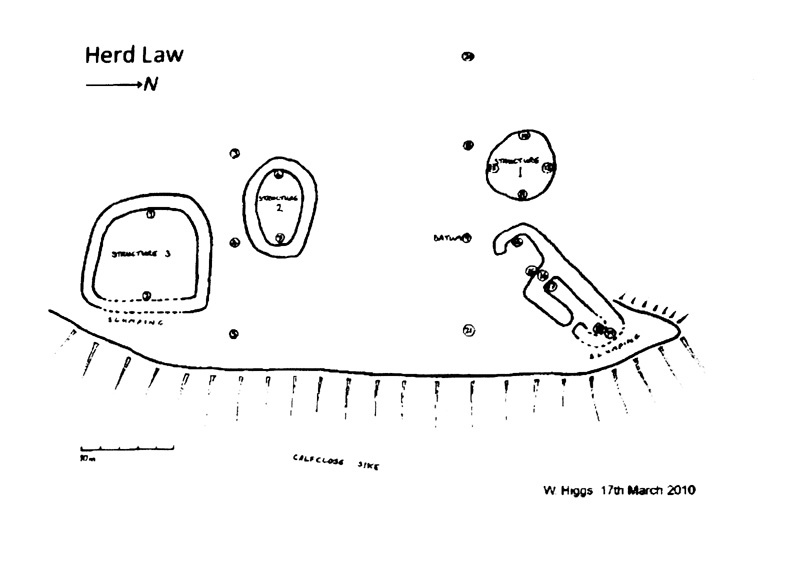 Plan of the East Farleigh villa. The actual villa, destroyed in the 19th century, was probably to the top right. 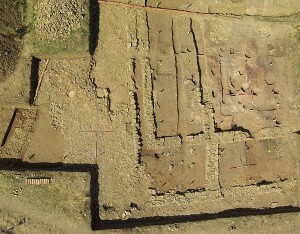 This shows the barn excavated previously (top left) and the kitchen ( bottom left) and a store building, (bottom right). The more interesting was that to the east, which he interpreted as a kitchen supplying food to the villa. 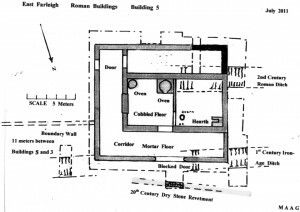 There were two large ovens in the central part of the buildings and a number of ancillary ovens, included as a room to be interpreted as a storeroom and a work room. 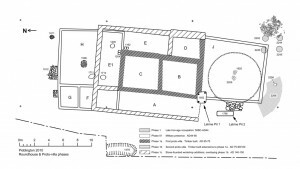 Detailed plan of the kitchen, showing the two ovens. However, hidden in a wall at one end was a rolled up lead tablet, which the Kent Archaeological Society had taken over and had it unrolled, and it proved to be a curse tablet which Roger Tomlin, at Oxford, had examined and interpreted. This led to the whole building to be reinterpreted as a temple, but all the other evidence points to it being a kitchen. The larger less elaborate building adjacent was probably another barn, or servants’ hall. Will Higgs then reported on Marchers, a new group based around the Tyne Gap in the uplands between Northumberland and Cumbria. The group’s policy is to carry out minimal investigations at close to zero cost using home-made equipment as far as possible. He had obtained experience at Vindolanda but then branched out on his own in 2010 and built up a group dedicated to field walking and investigating the late- and post-mediaeval farmsteads on higher ground in the area. Some of these seem to have developed from shielings, temporary dwellings occupied in summer by Medieval transhumance farmers. 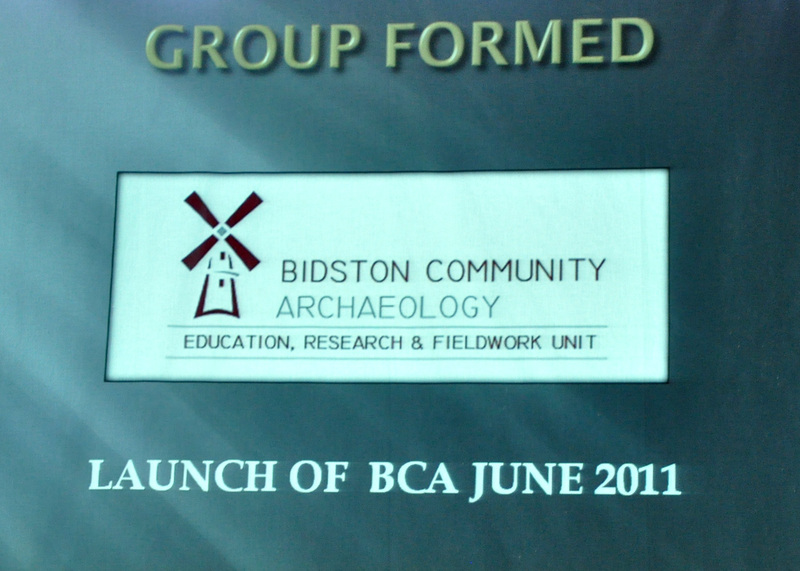 After an excellent lunch, Alan D’Henin told us about his work with community archaeology in Bidston. Bidston is the headland that forms the Wirral, the peninsula on the other side of the Mersey from Liverpool. 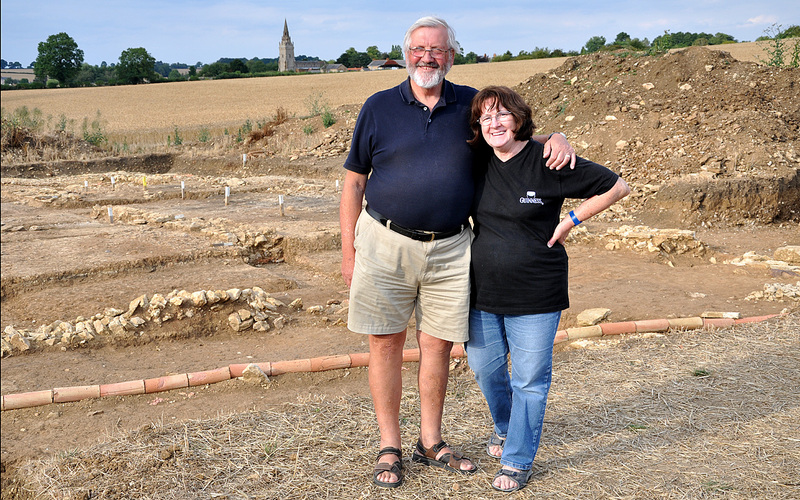 A community archaeology programme was set up by two professional archaeologists, but it fell through and the very keen local group decided to go ahead by themselves. Six of them went on to a six months course with Liverpool University to learn about archaeology, and they then set out to carry out a project for themselves. They decided they needed knowledge, equipment and geophysics and they proceeded to get this by a system of barter, so that they would barter their work in return for knowledge. They now had 80 members paying £12 per year each, and they had an open day when they further augmented their funds. And they also received a grant of £2,100 for doing an employment skills project for the unemployed. But their main slogan was ‘Just be cheeky and ask’. 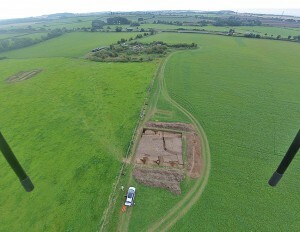 Their major project had been on a site they called Pig Field where they were finding a 17th century structure, but they had also been assisting Liverpool museums in the excavation of a major Neolithic site that was still under wraps. The conference was very impressed by their enthusiasm. Tony Brookes then gave a presentation on what he called the F.O.S.S Way, the Free Open Source Software for archaeologists. Many archaeologists have perforce become proficient with computers and know of at least some open source software, notably Open Office as an alternative to Microsoft Office, while for manipulating photographs, Photoshop can be replaced by Gimp – an extremely powerful, if somewhat quirky, photo editing program. Similarly for vector drawing, Illustrator can be replaced by Inkscape; and for Desktop, publishing Quark can be replaced by Scribus. However his main concern lay in the production of maps. Here there are two main features, firstly CAD, or Computer Aided Design, where the market leader, AutoCAD can be replaced by Qcad. But then there is the more complex problem of GIS or Geographic Information Systems, where he pointed the way to Qgis, or Quantum Geographic Information System, as a user friendly open source Geographic Information System. Any member of the CIA interested in this should contact Tony Brookes directly. There is also the problem of finding a base for maps. The Ordinance Survey has long been notorious for the high cost of their commercial licences, though they have recently changed their licensing system to make it much more affordable. However there is an alternative in the form of OSM, or Open Street Map, which has been described as a sort of Wikipedia for maps – see www.openstreetmap.org or www.osmgb.org.uk to see their work. He then went on to give an example of some of his own work around Calke Abbey, showing how some of the old maps can be processed using GIMP and Qgis. We also heard from Ian Schrieber, a model aeroplane enthusiast, who has built a drone with which he has been taking aerial photographs of both the Piddington site and the Durobrivae fort site. View of the Durobrivae excavations, looking north. 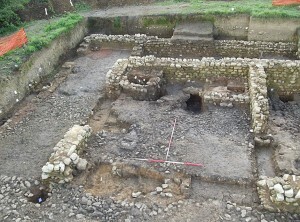 At the centre are the excavations on the East Gate, while the North gate can also be seen under excavation. The town of Durobrivae is off to the left, while in the middle distance the modern A1, the Great North Road, can be seen (double click for larger view). The legs of the drone can be seen to either side. 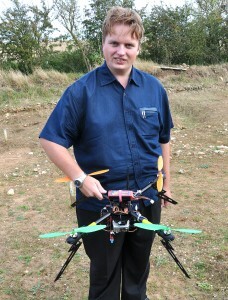 The legs of the drone can be seen to eithger side. The drone – which the older generation of us would describe as being a very miniature version of a ‘flying bedstead’, was little more than a foot in diameter with four, three-inch propellers at each corner, driven by electric motors. However it is able to lift a miniature camera up into the air and fly around for up to seven minutes, taking aerial photos of a site. His most spectacular photos were of a church tower, getting in much closer and at a higher resolution than any helicopter could. The drone could be seen on the site, but unfortunately it was too windy to be able to fly it. But it is available for hire for £130 a day, and any archaeologist who wants aerial views of his site might well consider hiring out Ian and his drone for a day’s aerial archaeology. The Conference ended with a talk by Roy Friendship-Taylor on his work on the Piddington Roman villa now in its 34th year. Then it was time for tea, and after tea, we went to visit the site of the excavations of the Piddington Roman villa, now in their thirty-fourth year of their excavations. Model of the Piddington villa, with the main corridor building to the rear, the attached wing to the left, and the detached with with the bath-house to the right. 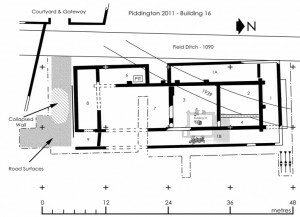 The excavations at Piddington fall into four parts: the first is the excavation of the villa itself, basically a corridor villa with a long wing down one side and a detached wing plus bath house on the other side. This was followed by the excavation of the garden in the courtyard. 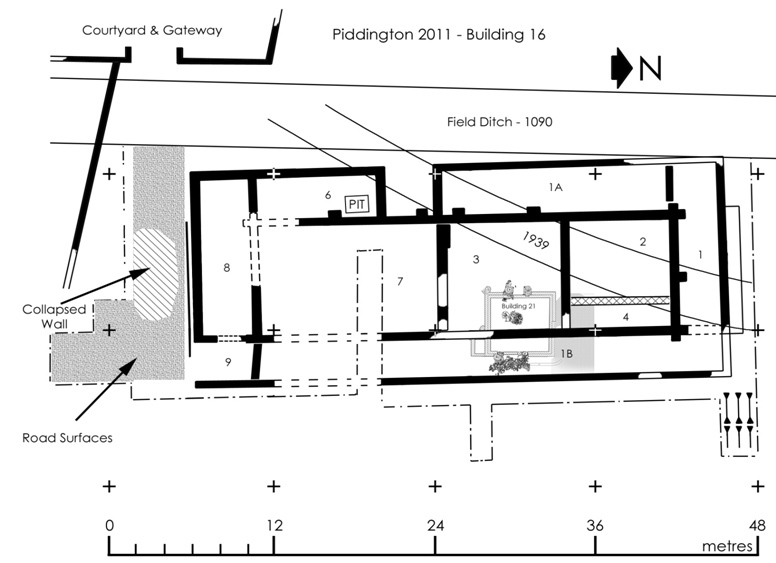 The ‘proto-villa’ at Piddington. This began with the round house, seen right, and then the various rectangular rooms were added in various stages. the whole was demolished in the late first century, when the main villa was built. 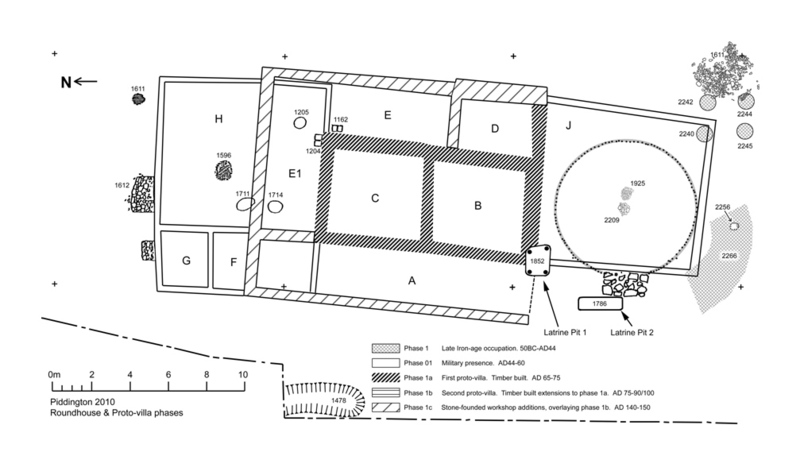 This was then followed by excavation of the site beyond the courtyard which turned out to be the Iron Age predecessor, followed by what might be called the protovilla – the first rectangular structure built under Roman influence, then enlarged to form quite a substantial building which was still occupied when the actual villa was being built in the late first century. 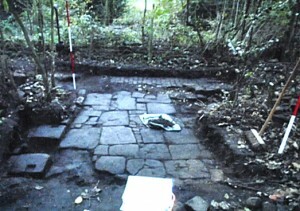 Building 16, the building of unknown function that is being excavated on the other side of the stream. The end wall had collapsed – see the photo below. However this was followed by what might be called Stage Four, which is taking place on the other side of the brook and hedge-line that forms the natural boundary to the villa estate. Roy believes that this was the site of a huge Roman fort perhaps, even legionary in size, and possibly only occupied for a season or so. However this was taken over by the outbuildings of the villa which are proving very substantial. Drone view of building 16. Here the remarkable collapsed wall can be seen to the left, with the stones forming the apex of the gable end clearly visible. The most spectacular finding is that the gable end of one of the buildings collapsed, falling outwards, virtually intact, so that it remains still lying over the adjacent courtyard. This is a most spectacular discovery and the conference viewed it with great interest. We then walked back over a couple of fields to the village of Piddington itself where the museum is situated in a former disused Wesleyan chapel. This is a most impressive museum for a local society and dedicated to showing the finds from just a single site: that is the Roman Villa. 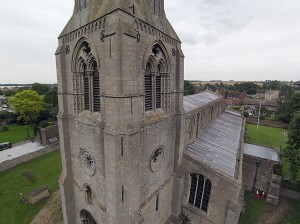 And although it was built from a substantial grant from the Heritage Lottery Fund, it nevertheless shows what can be achieved by a local society. The site visit proved a fitting conclusion to a very successful conference and we look forward to hearing more about Archaeology on a Shoestring in next year’s conference.